Finding new after school snacks is key in keeping our parenting sanity throughout the school year. While we all strive to provide healthy snacks for our children, sometimes we just need to have a little fun! 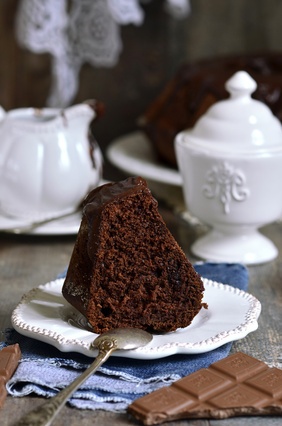 Liven up your after school snacks with this After School Chocolate Cake Recipe. Preheat oven to 350 degrees. Spray 2- 8 inch cake pans with Pam spray. Sift together the flour, baking soda, baking powder and salt. Set aside. Blend together the boiling water and the cocoa powder. Set aside. In the bowl of an electric mixer cream the butter and sugar on medium speed with a paddle attachment, scraping the bowl once during the process. Add the eggs one at a time and beat well. Alternate adding the dry ingredients to the mixing bowl with the water-cocoa mixture, beginning and ending with the dry ingredients. Scrape the bowl occasionally while you are adding the ingredients. Evenly distribute the batter between the 2 cake pans. Bake for 30-35 minutes, or until a toothpick tests dry. Cool 10-15 minutes before removing cakes from the pan. Remove onto wire rack to finish cooling. *In a mixing bowl with the paddle attachment, beat all of the ingredients together on medium speed until well combined and creamy. Add frosting to top of one cake and carefully remove the second cake to place atop. Frost the second cake.